For the first giveaway this month, Hijab Style is giving you the chance to win a hijab and prayer mat of your choice from Muslimbase. "What would you like to change about the Muslimbase website?" E-mail in your answer along with you full name and city, with 'March Giveaway' in the subject line to hijabstyle@hotmail.co.uk. Please note that if any of this information is missing, you will not be entered into the competition. 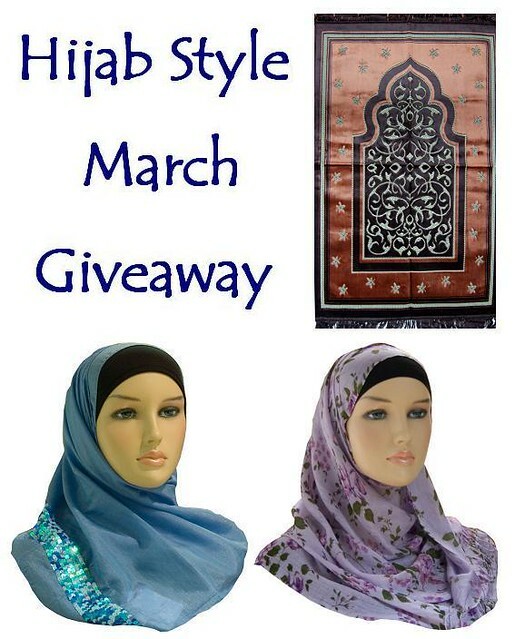 You can get an extra entry into the giveaway when you follow Hijab Style on Twitter! Simply send in a separate e-mail with your full name and link to your Twitter profile. The deadline for entries is midnight GMT on Friday 11th March 2011.